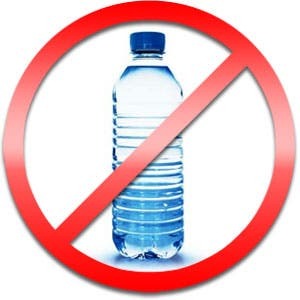 San Francisco continues to be one of the most environmentally interested cities in the US, with the Board of Supervisors on March 4 voting unanimously to bar the city from buying plastic water bottles and to ban distribution of plastic water bottles smaller than 21 ounces (600 grams) on city property starting October 1. The exceptions to the ban are marathons and other sporting events. The main apparent concern is that instead of buying water, thirsty people will simply buy a soda, which will be very detrimental to city health. But I think that the idea behind this legislation is to say something along the lines of “Hey, if you really want to buy bottled water, then at least buy bigger bottles – which are really less harsh on the environment. Oh, or you could buy reusable bottles, that’s a thing too”. At the board, Chiu came with a water bottle a quarter of the way full with oil, to illustrate how much oil is used in the production and transport of plastic water bottles. He also reminded people that the current fad of bottled water started in the 1990s, and people have been living without it for most of the city’s entire history. What do you think – a laudable initiative which will succeed, is it doomed to fail, will it actually have a negative effect… which is it?